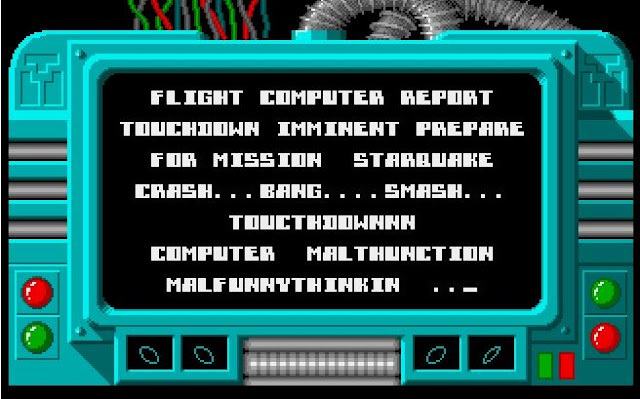 For whatever reason, there's a whole swathe of titles that got releases on the Atari ST back in the day, but not on the Amiga. Given the platforms similarities you'd think a port would be a no brainer. indeed, many games just got simple ports from the base ST version with almost no enhancement for the Amiga version. But some games just never even got that treatment. Fortunately there have been efforts in recent years to put that right and actually make these games playable on the Amiga. 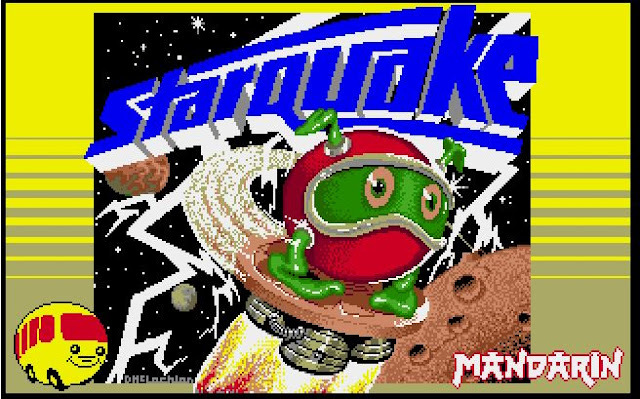 This week it's the turn of Starquake to get the limelight. 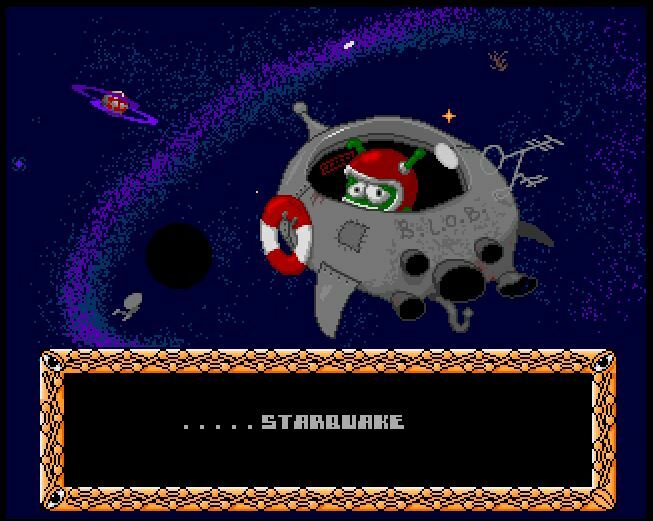 Starquake seems to be on all of the main 8-bit platforms, with a nice port up to 16-bit for the ST. 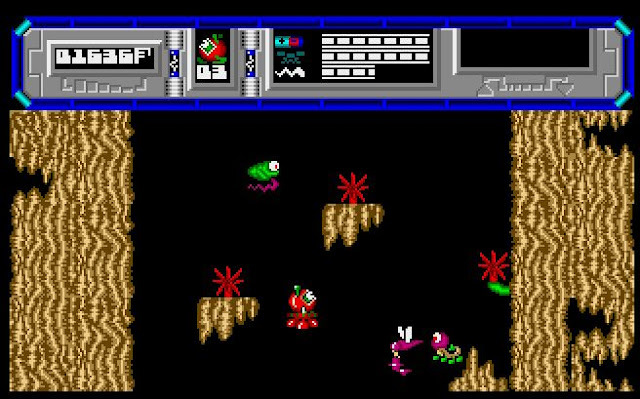 The graphics were improved, but the manic gameplay style remained. But for whatever reason, The developer, Stephen Crow, never made the port to the Amiga. But now, Galahad of Fairlight fame who has previously converted "Where Time Stood Still" to the Amiga has performed his magic yet again and resolved a few legal challenges along the way, but this week he's announced the general release of the game to EAB. Now there are a few caveats and the main one is performance... Right now it will only run nicely on an A1200 or better. Galahad is working on improving the situation for A500 owners, but he just wanted to get the release 'Done' on a basic level - it's been a long time coming, there's an early WIP vid on youtube from 3 years ago! 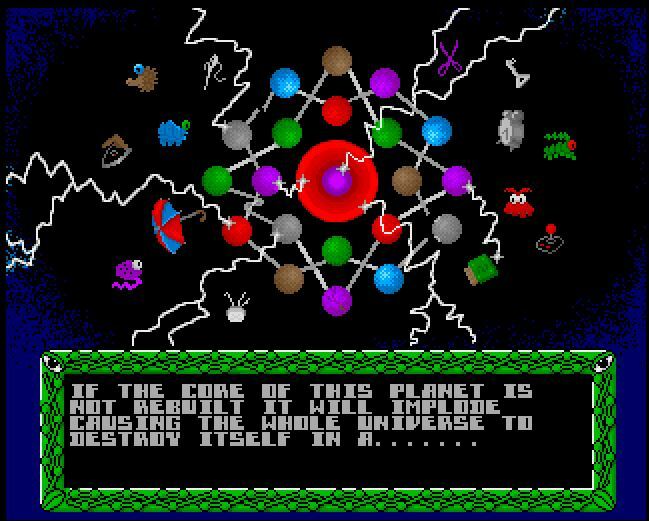 The nature of ST to Amiga ports after the fact like this involves running the binary code through a translation wrapper which is why a 1200 is required for now, but it also means the working game is for all intents and purposes the exact ST game, almost being a mini ST emulator! So if you've played the original game on ST, you'll know what to expect. 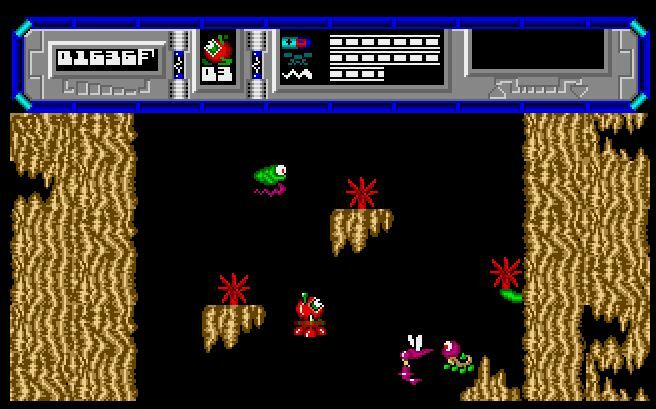 The game involves controlling B.L.O.B (BioLogically Operated Being) to collect items and access cards to the level exit while also shooting the erratic enemies floating around the screen. Control is a little on the odd side, left goes left and right moves your BLOB right but jumping doesn't really exist but you can push down and create a steam jet which lifts you up a bit. You can also blow the jet when BLOB is falling to adjust your fall trajectory. as well as walking, you can also get your BLOB onto a flying platform which is much more intuitive to control. 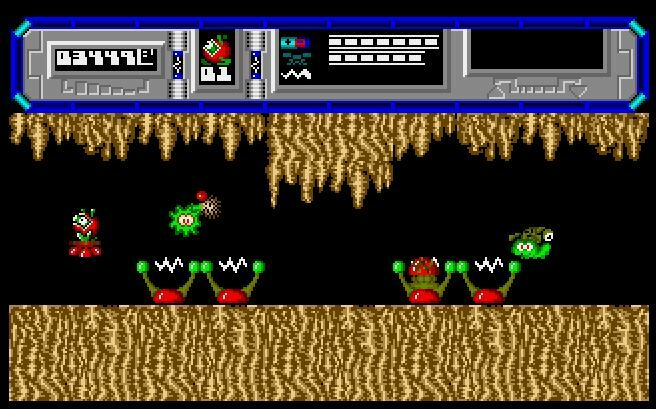 All in all the game is a nice addition to the Amiga stable and represents something a bit different to the usual platform genre. The graphics at time look a little tweek but the character and enemy sprites are very nicely designed and coloured considering it's ST port roots. 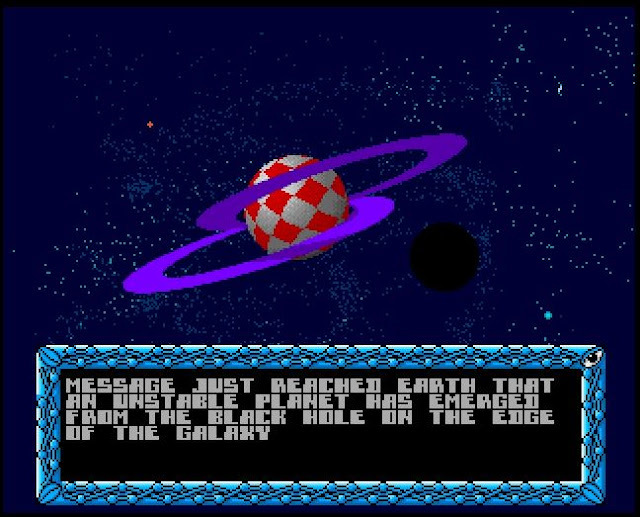 and finally a cheeky Amiga boing ball inserted into the intro slides is a welcome sight!